This week, Your News to Know brings you the top news stories involving the gold market and the overall economy. Stories include: Gold predicted to hit $1,500 amid roaring inflation and uncertainty, why Brexit makes gold a buy, and massive gold coin worth millions stolen from German museum. Despite Janet Yellen’s insistence that the Federal Reserve hasn’t fallen behind the curve, signs point that soaring inflation will soon surpass the Fed’s target of 2%, having already reached 1.9% in January. As seen on Newsmax, inflation is picking up in the euro-area as well, having recently risen at its fastest pace since 2013. Stoeferle, whose firm oversees over $100 million in assets, believes rising inflation will combine with negative interest rates to boost demand for gold bullion, which is traditionally seen as a good hedge against inflation. According to Stoeferle, the yellow metal might be in the early stages of a bull market and could reach $1,400 to $1,500 an ounce this year. The money manager also pointed towards Donald Trump talking down the greenback as another boon for gold. 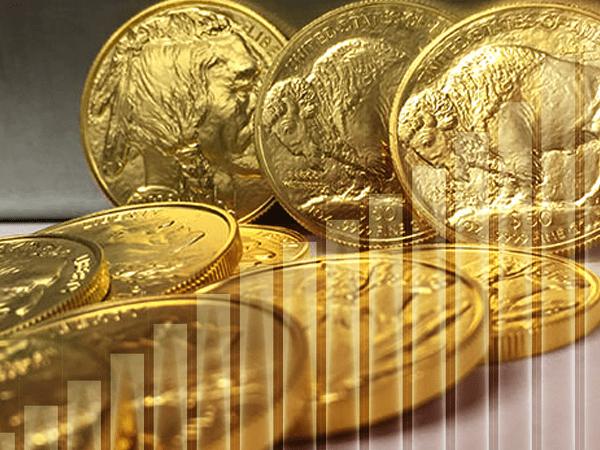 Combined with concerns in the market over Trump’s policy execution, the European elections and the Brexit process, he believes that that should give gold a further boost. While Nasdaq contributor Martin Tillier acknowledges that U.K. Prime Minister Theresa May’s signing of Article 50 of the EU Charter was a historic moment, he doesn’t believe market watchers should read into the finalization too much until more details are known. Although he finds it impossible to predict the effect that Brexit will have on various assets, he does point out one commodity that looks to benefit from the move: gold. The yellow metal, Tillier says, will prosper as people look for a place to store their savings. Gold might be a commodity, but by viewing it as currency and comparing it to the other four major currencies – the dollar, euro, pound and yen – one can understand why it has so much to gain from the British exit. For starters, Brexit threatens to rob London of its status as the financial center of Europe, as many big banks with London-based European operations move elsewhere to stay within the EU. Aside from putting pressure on the pound, the removal of the British market from Europe is also expected to detract from the euro. Moving to Asia, despite the yen’s recent strengthening against the dollar, the Bank of Japan continues to pursue inflationary policies such as negative short-term interest rates, which minimizes the chances of further currency appreciation. Lastly, the dollar continues its downward trajectory after a strong post-election run, and the expected inflationary policies moving forward aren’t likely to change this. Tillier asserts that this leaves gold as the most obvious store of value and a way to preserve savings against inflation. He notes that foreign exchange, with an average daily turnover of $5 trillion, holds a massive pool of money that needs to go somewhere, and even a small part of this money finding its way to gold would start a strong bullish run for the metal. He believes that this process is already underway as gold has risen against the dollar since December, and the upward trend looks to continue in the coming months amid Brexit-related disruption in the markets, making an introduction or increase of gold holdings in a portfolio a choice every person should make. A recent theft in Berlin’s Bode Museum saw the institution robbed of its precious “Big Maple Leaf” coin worth millions of dollars. The massive 221-pound coin, which was on loan from a private collection, was stolen shortly before morning on Monday March 27th, with thieves apparently entering through a window using a ladder. Although the coin’s face value is $750,000, its weight makes it worth almost $4.5 million at market prices. According to the museum, the coin entered the Guinness Book of Records for its purity of 999.99/1000 gold and has been on display since 2010. With a portrait of Queen Elizabeth II on one side and maple leaves on the other, the piece was produced in limited quantities by the Royal Canadian Mint to promote a new line of its Gold Maple Leaf bullion coins in 2007. Police spokesman Stefen Petersen wouldn’t reveal whether authorities had surveillance footage of the crime, but said that police assume there were multiple perpetrators due to the weight of the coin and that detectives specializing in crimes involving art are investigating.